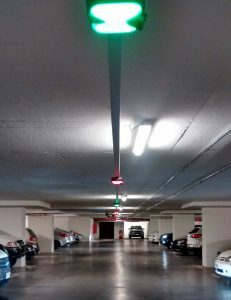 With a fresh new product, launched on the market at the beginning of last year, that has already enjoyed a very good response from many of the players in the parking industry, Quercus presents now the latest parking installation that includes our parking guidance system provided by Spot Control Sensors. Lo Barnechea in Santiago de Chile (Chile) has recently opened new facilities to accommodate the city hall. The modern building with more than 15931m2 and 8 floors also hosts a 3-level car park with more than 150 parking spots. The municipality of Lo Barnechea chose the Spot Control units developed by Quercus to equip the parking facilities and boost the efficiency, automation and userfriendliness of the car park. Spot Control is a revolutionary product that provides reliable parking guidance, video surveillance and license plate recognition at each parking spot, insuring security, control and a better management of the parking facilities. The units easily guide drivers to the available spaces, reducing the time for seeking for a spot and contributing to the rotation of vehicles. Moreover, the All-in-One Spot Control units can help parkers find their way back to the vehicle only with information on the license plate. The identification of the parking spot is highly reliable and is done using our proprietary OCR that correctly recognizes the license plate of the vehicle that occupies it. The same Spot Control sensor acts as a video security camera video recording everything that happens in the spot where the vehicle is parked. Thus, vehicle robberies and damages can be prevented and the parking attendant can know at any time all the movements taking place in the car park. The management of all data collected by our Spot Control sensors is performed through BirdWatch Smart Parking Suite, a web-based software application integrating multiple capabilities that provides the full control of the parking facilities. The parking facilities at Lo Barnechea city hall include, apart from the Spot Control capability, other two capabilities from the Suite: Car Access for vehicle control based on LPR at entries/exits in the car park and CCTV for video monitoring throughout the facilities. Quercus strongly believes that “Excellence is not a destination; it’s a continuous journey that never ends”. Without unveiling anything yet, Quercus announces you that many new projects are expected in the near future. 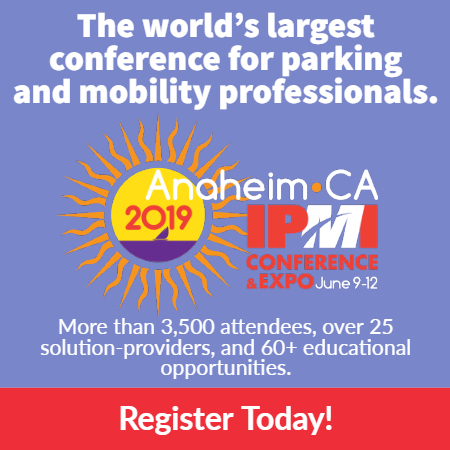 Quercus Technologies manufactures advanced detection solutions that improve mobility and security in parking facilities and is worldwide known for its highly reliable license plate recognition (LPR) technology. Quercus solutions include All-in-one LPR units, parking guidance and LPR-based spot monitoring units, videorecording units, NVRs, and the innovative software Parking Suite, BirdWatch, that relies on all these smart technologies and provides total control of car parks.